Handwashing with soap is an easy, effective, affordable do-it-yourself practice that prevents infections and saves lives. The 2018 Global Handwashing Day theme is “Clean hands – a recipe for health.” This year’s theme focuses on the links between handwashing and food – including food hygiene and nutrition. Handwashing is an important part of keeping food safe, preventing diseases, and helping children grow strong. • Wash your hands with soap at critical times, especially before eating, cooking, or feeding others. • Model good handwashing behavior and remind or help others to always wash their hands before eating. • Make handwashing a routine part of your family meals. 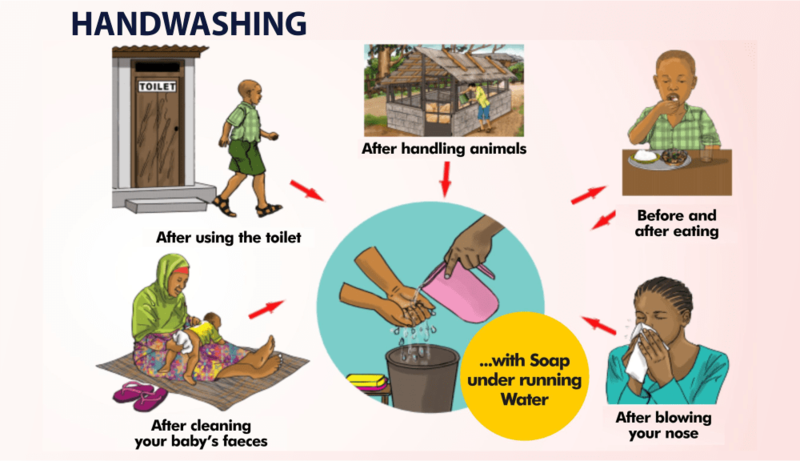 • Promote effective handwashing behavior change in research, policy, programs, and advocacy.